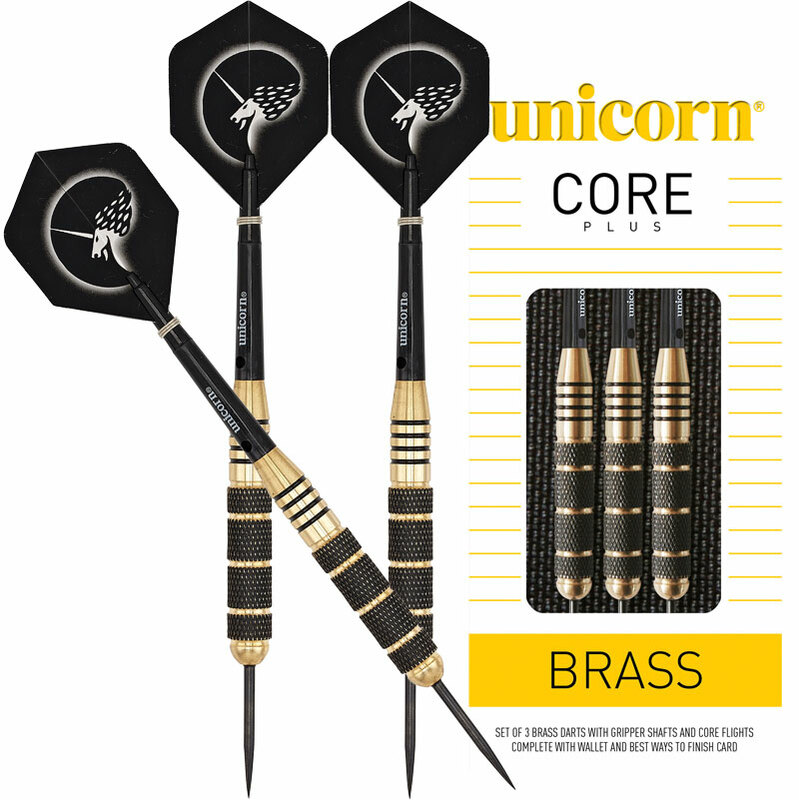 Unicorn ® Core Plus Brass Darts - no nonsense precision engineered ultra quality darts offering great value and strength in depth across materials. A great dart for all social players. Complete with dart wallet and best ways to finish card.